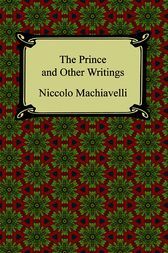 "The Prince & Other Writings" gathers Machiavelli's master work with the bulk of his other writing, organized into eight appendices. Machiavelli (1469-1527) became the pre-eminent political philosopher of his era with the release of "The Prince" (1532). In this treatise he examines the role of political power in shaping statehood. His rejection of idealism in favor of realism often enabled his notional ruler to act immorally in order to gain and maintain power. Now firmly situated within the Western Canon "The Prince" ranks among the greatest works of political theory, finding lasting relevance in today's complex political climate. In the appendices we find several letters to important political leaders of Renaissance Italy. The additional text in this edition gives tremendous insight into Machiavelli's thought that helped shape his defining work.